Man on Wire director James Marsh pays tribute to David Bowie by recalling the time they became friendly, and pondering his creative swan song. 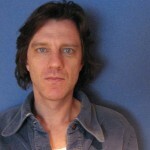 James Marsh is an English director best known for his 2008 film, Man on Wire, which won many awards including the Oscar for Best Documentary. 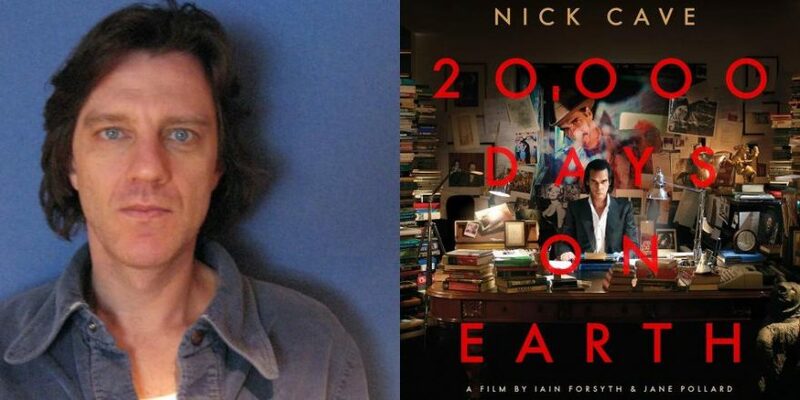 His other notable non-fiction credits include Wisconsin Death Trip (1999) and Project Nim (2011). Marsh also directs fiction films, including The King (2005), starring Gael Garcia Bernal; Red Riding: 1980 (2009), the second part of the Red Riding trilogy; and Shadow Dancer (2012), with Clive Owen and Gillian Anderson. I am guessing that David Bowie chose the manner and timing of his death. We learned of it on the morning of Monday January 11, the beginning of the week, coming just after the release of his final album, Blackstar, and his 69th birthday. There was no warning, no gathering of vultures beforehand – just the unexpected, cold, hard fact of it on a gray, chilly morning in London. The outside world felt strangely muted and bleak – an experience that prefigured a couple more dreadful, numb, disbelieving mornings that were to come along in this awful year of Brexit and Trump. Stopping off at a newsagents en route to my cutting room, the radio inside was playing Bowie’s song “Where Are We Now?” To my own surprise, I left the shop in tears. Surprising because Bowie hadn’t really engaged me with his music for a very long time, not since Scary Monsters in 1980, which is literally a lifetime ago. His restless creativity had continued but I had tuned it out after my teenage years. But that misses the point. 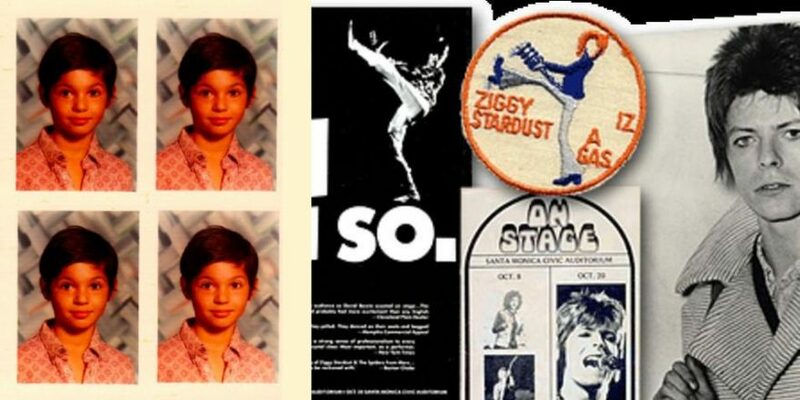 Bowie had been the most crucial cultural and artistic influence on my formative years. As anyone who grew up in England in the late ’70s and ’80s will testify, it was a depressing, awful, joyless place – a decadent, shabby socialist country mutating before our eyes into the more cruel and divisive right-wing dystopia of Thatcherism. And yet in our bedrooms, on crappy mono record players, there was a conduit, via Bowie’s powerful, ever-changing music, to transgressive ideas served up with style and flamboyance, a world of cool that was both quintessentially English and a refutation of the country’s mediocrity and dreariness. Bowie was the curator of my teenage years, his curiosity leading mine to discover Kraftwerk, the Stooges, Andy Warhol, Jacques Brel, Lou Reed, the Velvet Underground, even George Orwell. Most crucially, for me, it was the cinema of Nic Roeg. 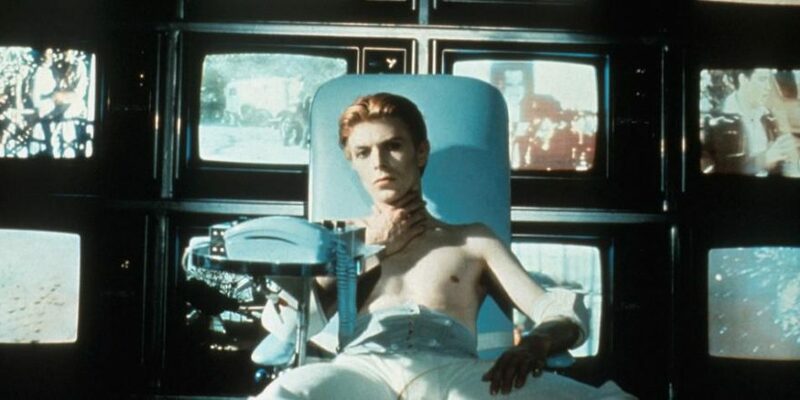 The Man Who Fell to Earth was the first proper movie I ever saw in a cinema and its giddy eroticism, fragmented structure and dreamy imagery turned me on like nothing I had seen before. There was a personal angle, too. As a young film editor, I met Bowie in my early 20s. Bowie did a benefit concert for Institute of Contemporary Arts in London and I had the task of cutting together multi-camera footage from the concert for a BBC broadcast of the show. Bowie came to the BBC to approve the edit and do some musical overdubs. So we spent a couple of days together, mostly mixing the sound and recording some additional vocals. He was – hold your breath – absurdly normal. Friendly and warm, quick to laughter and an obsessive but good-humored perfectionist in his work. And very, very English. He even liked the rancid, sickly sweet tea from the BBC canteen. As he worked, he chain-smoked Marlboros. He was flatteringly curious about me – and specifically curious about what music I listened to, what movies I could recommend. He even took me out for dinner to continue our conversation – which still feels like the memory of a dream with the sort of wish-fulfillment that only a dream can provide. We corresponded for a bit after this encounter – and I sent him some records he was curious about (Bhangra music from London’s Indian quarter and Rai music from Algeria) and VHS dubs of the Clouzot film Les Diaboliques and Victor Erice’s The Spirit of the Beehive, which we had talked about over dinner. I mention all this because meeting your idols is best avoided and many famous people are actually assholes. 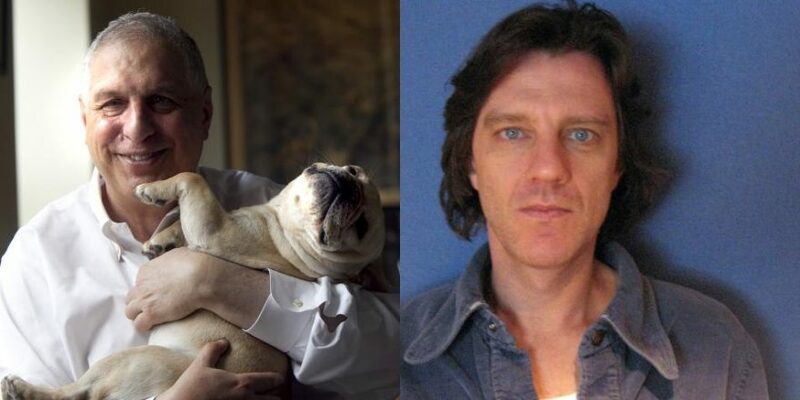 But in this short, trivial encounter, I’d seen a glimpse of what made Bowie so special as an artist – a magpie-like curiosity, a dedicated, all-consuming approach to his work and a kindness and generosity to even the most minor of collaborators. Of course, I thought about all this as the news of his death sank in but it was really the song that killed me on that January morning. With “Where Are We Now?”, a documentary-like souvenir of his life in Berlin, Bowie had built a bridge to his most indelible earlier work – Low, Heroes, Lodger – and produced a song that was as good as any on those records. The song was nostalgia in its purest form – where the ache, the pain of remembering the past was not a consoling, friendly emotion but an agonizing one. Earlier in his career, Bowie had once described his inspiration as “isolation, abandonment, fear and anxiety” and perhaps, inevitably, that is what you lose or slowly sublimate with success and adoration. He had found those feelings again in the way we all might with a death sentence, from which neither fame nor money could protect him. In retrospect, “Where Are We Now?” looks like the first salvo of this morbid contemplation and spoke of renewed contact with isolation, abandonment, fear and anxiety. On the morning after his death, the song became an unbearable stab of loss and sadness. However, there was more to come. I had been dimly aware of some new music from Bowie that had surfaced at the end of the year but hadn’t yet listened to it. So, late that night, whilst poking around on YouTube looking for the classic songs and performances, the first video that the search offered up was the most recent – the music promo for Lazarus, which will now stand as Bowie’s final creative act, the fever dream of a man on his deathbed, intoxicated by palliative drugs. Watching the promo and hearing the song for the first time, alone, late at night, was the most moving and frightening visual experience I have had this year – it was like an assault of morbidity which couldn’t help but make you think of your own. Here was an artist bravely staring into the face of imminent death and oblivion without blinking – and without offering much hope, either. 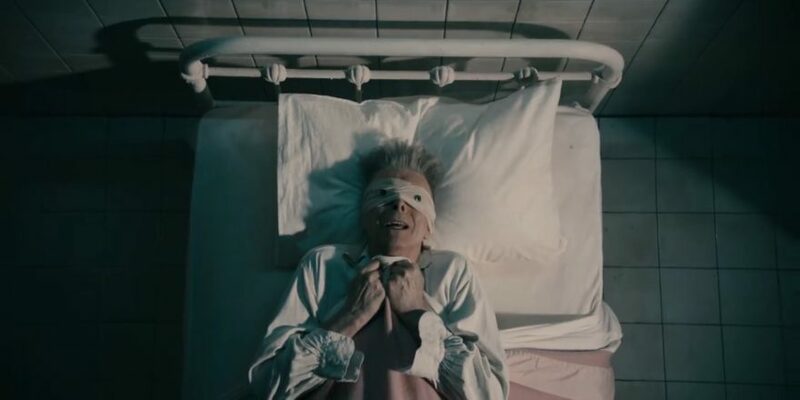 In the context of his death, the opening lyrics of the song made my stomach flip: “Look up here, I’m in heaven / I’ve got scars that can’t be seen.” On screen, there is a sickly-looking Bowie, recoiling in a hospital bed, his face obscured by a bandage with shiny buttons in place of eyes. He cowers in fear with the sheets pulled up tight around his face, like a death shroud. The rawness and vulnerability was startling and scary. In the video, Bowie curates his own death and it is not a consoling experience. He himself looks genuinely scared at certain moments in the video, possessed with The Fear that informs all others. The short film ends with a clearly moribund Bowie retreating into a wardrobe, closing the door on our world and entering a realm of uncertain darkness. In any other context, you might scoff at or resist such a visual cliché but on the day after his death, its raw honesty and nihilism was just profoundly upsetting in its finality. The song may be called Lazarus but there was to be no supernatural denial of mortality, no going forth into life, just oblivion. And yet, what Bowie has left behind will secure his immortality – his work, his music, his example will endure. I hope he knew the certainty of that before he died.